The organizers of the Defcon hacking convention have publicly asked U.S. federal government workers not to attend the event this year due to tension in the hacker community caused by the recent revelations about the U.S. government’s electronic surveillance efforts. 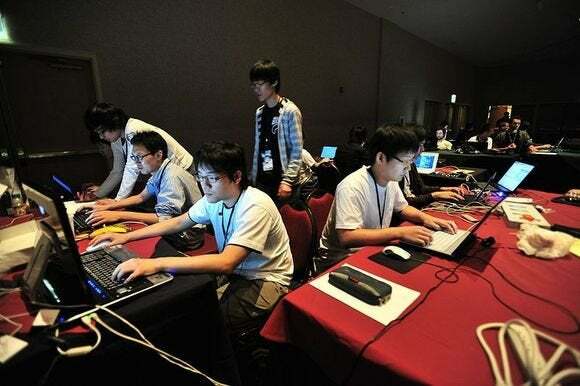 The historically antagonistic relationship between hackers and the government seemed to have eased up in recent years, with three-letter government agencies increasingly looking to recruit cybersecurity talent at high-profile hacker conferences such as Defcon and Black Hat. One of the recurring contests at Defcon is Spot the Fed, which consists of attendees attempting to out government agents present at the show for fun and T-shirts. However, it’s not clear if the contest will run this year, as Defcon founder Jeff Moss asked the “feds” to sit out this year’s event. Moss is known as The Dark Tangent in the hacker community, and is also the chief security officer of the Internet Corporation for Assigned Names and Numbers (ICANN). The request came as a surprise to some people, especially since General Keith B. Alexander, the director of the U.S. National Security Agency and head of the U.S. Cyber Command spoke at Defcon last year. Moss said at the time that he had been trying for the past 20 years to get a high-ranking NSA official to speak at the conference. A Capture the Flag gaming session from Defcon 17. While Moss’ request to federal agents can be viewed as a political statement, some people believe that it actually stems from a desire to avoid conflicts during the event. Updated at 12:30 p.m. to clarify that Kyle Maxwell’s comment came from a personal blog.